Nate Friedman started out as an electrical engineer in the steel industry, climbed the corporate ladder at a Fortune 50 company and eventually ran a real-estate listings startup that didn’t work out. He worked 10-hour-plus days, traveled constantly and saw many of his fellow peers at work become jaded and weary. So he decided to get out before it happened to him. Now he spends most of his workday at home with his family, walks a few blocks to his office to get work done and can run his business from anywhere in the world as long as he has his laptop. Nate runs a multi-million dollar work boot business that he bought just one year ago. “When I saw this business for sale, I knew it was a diamond in the rough,” he says about MuckBoots.com. Nate credits Google for pushing him towards a career in eCommerce. After leaving corporate America to focus on his side business turned full-time business, the great Penguin update had just rolled out. His real-estate listings website took a bad hit. “The algorithm update devastated us and it propelled our competitor into a $100 million evaluation and sale,” he says. The company lasted one more year until they essentially ran out of money. With the birth of his son right around the corner, Nate made the decision to put family first and wind down the company. He and his wife packed up their New York City apartment and traveled for a year. Only eight weeks since first spotting the site, the ink on the contract was dry. Even though he was chomping at the bits to do a complete website overhaul, Nate decided to work on more important matters at hand. He needed to get to know those boots. “I never worked retail or a customer service job in my life!” he says. “I’m not a hunter or farmer and I don’t work on construction sites. The second we signed, the seller did a huge information dump on the boots and he asked me all the tough questions”. After a few days of learning the products inside and out, Nate jumped on the phones to take customer service calls. Once Nate knew the Muckmaster and Jobber styles as well as a New England native, he was ready to put his growth plans into action. First was a major site overhaul that included new photography, copy, site architecture, policy pages and more. “It gave us a tremendous lift in terms of conversion rates and traffic from Google. 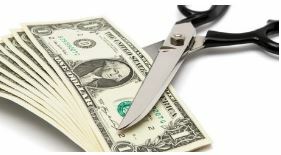 The results were immediate.” Nate has doubled revenue since taking over the business. He also decided to refocus on Amazon. The former owner had been using the channel and showed him the process he was using. He had been doing everything manually, which just didn’t scale. Nate systemized everything and automated most of the repeatable tasks. “I have an inclination to dive into things. I’m not afraid to just go in and figure things out when I don’t know much about it,” says Nate. 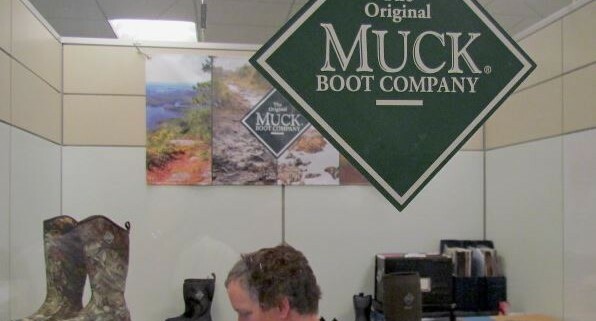 “I used a lot of online resources to figure out Amazon.” Today they’re the top seller of Muck Boots on the channel and the overall business has grown considerably as a result. The days of long corporate drudgery are behind Nate now and he wouldn’t trade his new schedule for anything. He’s up at 7 a.m. so he can have breakfast with his son and newborn daughter. He checks in on operational emails for anything urgent urgent before heading to the office. Since he’s now based so close to home, he manages to take a two-hour lunch with his family every day. He is also home before dinner so he can have fun with his two kids before they head to bed.